Adelaide-born Doug Ashdown was an early starter in music. At the age of ten, he was given a banjo which he learned to play by ear. By seventeen he had travelled to England, where he played in a rock band, returning to Adelaide the following year and working as lead guitarist in The Bowmen with Bobby Bright (who became famous as one half of pioneering beat duo Bobby & Laurie). Doug's first major break came when he signed with CBS. 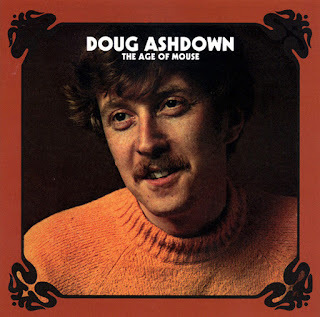 They released his first single "Guess I'm Doing Fine" (1965), and over the next three years he recorded three albums for them, beginning with This Is Doug Ashdown in 1965. 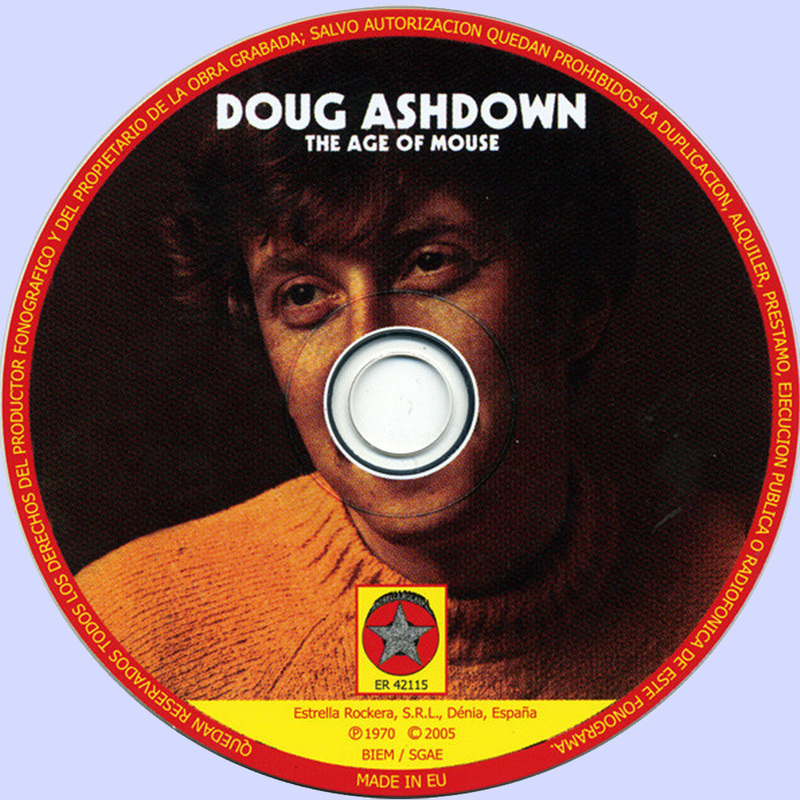 Doug's second album The Real Thing (1966) contained an eclectic range of local and overseas material, including The Beatles' "Hide your love away", Roebuck "Pop" Staple's "Ain't that news", Paul Simon's "Sounds of Silence", "I Know A Girl" by Adelaide singer-songwriter Phli Sawyer (whose 1971 Sweet Peach album Childhood's End has become one of the rarest and most collectible Australian progressive LPs) and Gary Shearston's "Sometime Lovin'", the song that was heard and recorded by Peter, Paul & Mary and led to Gary being invited to the USA. Doug's third album Source (1968) was his last for CBS, but by decade's end, he was an accomplished performer, songwriter and recording artist, and a leading light on the Australian folk scene. After his CBS contract expired Doug released two solo singles on Philips, "Something Strange" (1968) and "Whole Lotta Shakin' Going On/Marcie" (1969). The latter, which was a chart hit in Adelaide and is quite a remarkable record, as well as being a wild digression from Doug's usual style and a veyr funny record. In several respects -- the deliberate lo-fi sound, the deadpan vocal, and the concept of creating a satirical studio deconstruction of a rock’n’roll classic -- this single strikingly anticipates the work of Britain’s Flying Lizards almost a decade later. It has been anthologised on the Datura Dreamtime bootleg CD compilation but really deserves wider recognition. In 1969 Doug joined forces with expatriate Irish singer, songwriter and producer Jimmy Stewart who had recently formed the Sweet Peach label. Stewart's first Australian success was as the producer of the one-off hit "Love Machine", recorded by the studio group Pastoral Symphony. Based in Adelaide, Sweet Peach released music by Fraternity, Levi Smith's Clefs and Lee Conway; Doug's 1970 single "I've come to save your world" was the first issued on the new label. Shortly after its formation, Sweet Peach became involved with The La De Das, and in mid-1968 Stewart reportedly approached them with an offer to record and release their long-cherished project for a concept album based on Oscar Wilde's The Happy Prince. The band undertook numerous rehearsals in preparation for recording but as the year wore on Sweet Peach repeatedly arranged sessions and then postponed them, and by November 1968 the label had pulled out altogether and the deal collapsed. Doug's fourth album, his first for Sweet Peach, was The Age Of Mouse which earned him a place in the history books as the first double album of original material ever released in Australia, almost two years before Spectrum's Milesago. Like many of the Sweet Peach releases it is now highly collectible and Doug has wryly commented that the prices currently being asked on the Internet are more than he was paid to record it! The songs were co-written with Jimmy Stewart, and the instrumental backing was provided by members of Levi Smith's Clefs, who were about to split from lead singer Barrie McAskill and form Fraternity. Sweet Peach lifted three Singles — "The Day They Freed The Noise", "The Saddest Song Of All" and "And The Lion Roared", all released during 1970. The first two Singles were local chart successes, and the album gained considerable critical acclaim. As a result, it was picked up by MCA for overseas release in fifty countries. Doug recorded a live LP to follow up, but by that time The Age Of Mouse had generated enough interest in the USA to prompt Doug and Jimmy to move there. Despite these succeses, Doug was unable to crack the US market, so Jimmy and Doug returned to Australia where they set up a new label, own Billingsgate. Stewart produced Doug's next album entitled Leave Love Enough Alone (1974). The album produced two Singles, "They Always Seem To Look Like Marianne", and the album's evocative title track, co-written by Doug and Jimmy Stewart during a bitter winter in Nashville. "Leave Love Enough Alone" was released in September 1974 and received some airplay, but neither it nor its predecessor made the charts at the time. only 46 MB, but he shows 275,50!! Many thanks for all the wonderful uploads! Sadly, its not fixed! Ashdown was a home favorite here in Adelaide and I think he has released several albums over the years.